Since becoming the “unofficial” historian of the Firefighters’ Association last April, I have had the opportunity to learn and record details of our past that are simply inspiring. The history of our state’s fire service is abounding in stories of hardship and struggle, courage and bravery, tragedy and failure, success and pride, humor and even absurdity. Each visit to a department uncovers yet another chapter of our amazing past that stirs my passion to share this rich history with our membership. 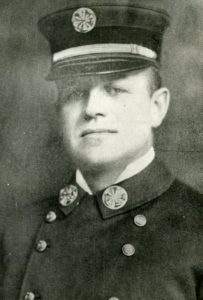 In my travels around the state, I have uncovered an almost universal practice in most of our older, well-established departments that may be of interest to the reader and cause one to think about recruitment and retention efforts in the “ole days.” Beginning in the late 1600s and well into the early 1900s, firemen were practically all volunteer, and only in the mid-1800s did some of our departments begin to embrace the idea of paid members. Fire departments back then served as a serious symbol of community pride and offered mostly young men opportunities to become a participant in a colorful and envious club. So popular were the fire departments in older times that most organizations had waiting lists, with only a few exceptions. To become a fireman, one had to submit an application signed by three or more active members recommending the prospective fireman. The applicant had to be voted in by three fourths of the votes cast, and each new member was required to pay dues in order to officially join. Some departments even required monthly dues to be paid to the treasury, and if a member was found to be in “arrears” for any period of time, the matter was turned over to a Magistrate for collection. Every year thereafter each member had to renew their membership and pay dues to remain in good standing. In larger cities of the North, members of most fire companies were required to purchase their own personal leather fire buckets, two (2) bags (1 ½ yard long & 1 ½ yard round) for use as a salvage sack, as well as a “bed-winch” (bed key). According to the Rules & Orders of a Boston Fire Society of 1763, a member who failed to maintain these articles of the trade were subject to penalty of three shillings. 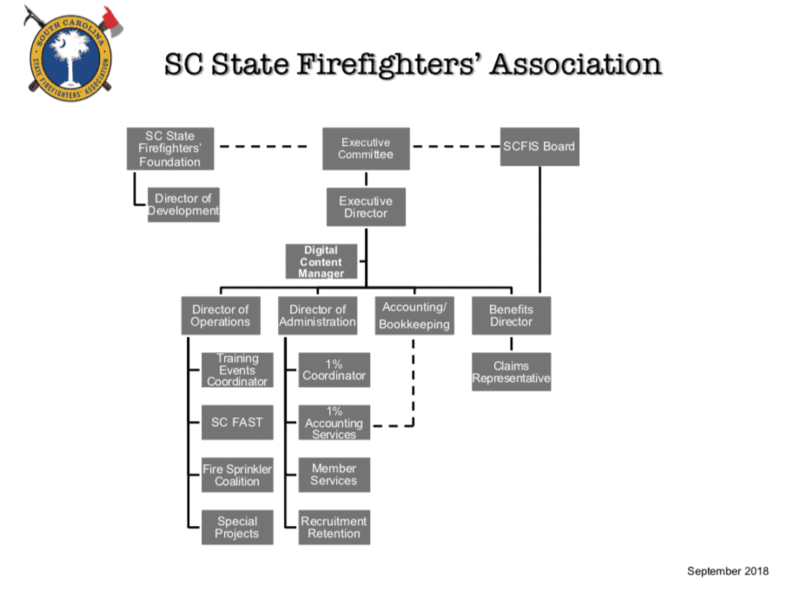 But the most interesting and persuasive aspect of membership in most fire departments in America, and even in South Carolina, was the ever present and shadowy DEFAULTERS LIST. In days gone by, departments had rules and regulations which governed and spelled out behavior and expectations of their membership, but many of these guidelines imposed significant fines for misbehavior and other transgressions. According to Camden’s Fire Chief John Bowers, as far back as 1843, his department exempted their members from militia duty but not exempt from the ordinary draft. Additionally, all members had to pay annual dues in the amount of $1.00 to the fire company. Members had to furnish their own protective equipment, and should a member break a rule or regulation, he would be fined according to how severe the offense, even up to expulsion of that member. Members that were absent from meetings, fires or drills were fined $2.00. If a member missed three meetings or drills in a row without excuse, he was dismissed. Interestingly, this policy was in effect in Camden until the 1970s! In Columbia, S.C. around 1805, the city selected fire wardens whose jobs were to “roam” the city or sit in towers “looking for the presence of unwanted fire.” The position of fire warden was an enviable job of status, and in 1818, fire wardens were selected by ballot of the town board. However, to discourage these men from taking their jobs lightly, the fine for “non-performance of duty” was set at $12.00 or to a sum as the board might inflict. Records of the Elliott Hook & Ladder Company, the Young America Company, the East End Reel Company, and the Phoenix Reel Company, all of Orangeburg in the late 1800s, reveal they, too, imposed similar fines for infractions and misbehavior. Fines from $ .25 to $2.00 were common. Records discovered by author and historian Sammy Way indicate that in the late 1800s a few young men organized a “reel squad” to further protect the Town of Sumter. They named their fire company the Delgar Reel Squad, and their new members were required to pay dues to become affiliated with the unit as well as monthly dues which covered the costs of equipment. Members of the other fire companies, the Wide Awakes and the Eagle Blues, were exempt from paying taxes. The Summerville Fire Department, organized in 1894, frequently enforced penalties for various infractions. Mention was made in Town Council minutes as late as 1937 about the growing problem of gambling and drinking at the fire house which were causing issues. According to Terry Galway’s book, So Others Might Live, these concerns are reminiscent of the excesses experienced by New York’s Metropolitan Fire Department in 1865 when rules prohibited “spirituous or intoxicating liquors” and “any game of chance.” These problems may have had much to do with the first rules of governing the Summerville Fire Department being applied in June of 1938. Firefighting in 2015 continues to be a profession that is sought after and regarded by the public with respect and admiration. However, with some exceptions, a majority of our departments don’t have vast numbers of prospective candidates knocking down the doors seeking membership. In fact, in many communities of our state the delivery of fire protection has become near crisis due to a shortage principally in the volunteer ranks. Local and state initiatives are trying hard, and with remarkable successes, to be more effective in recruiting and retaining participation in the fire service. We are making progress and have reason to be optimistic and encouraged. Bryan Riebe, Patti Johns and their team of recruiters are turning the corner with numerous school initiatives and other community based programs that are producing growing numbers of volunteers throughout the state. “I have no ambition in this world but one, and that is to be a fireman. Believe that his is a noble calling. There is an adage which says that nothing can be destroyed except by fire. For the comfort of both the rich and poor. The product of the genius of men and the means of refinement of mankind. The work of God Himself. Thrills us and stimulates us to deeds of daring even at the supreme sacrifice. I think old Chief Crocker hit the nail on the head when he penned these words describing his calling to be a fireman. It’s my hope that those of us who have answered the same call will lead and influence others, not only with words, but also with modeled lives befitting our profession. Excellent article, Carter! In my 33+ years I recall “house tax” jars for collecting funds for infractions-particularly cursing. Thanks for sharing this wonderful history and for promoting the on-going commitment of the SCSFA to recruiting and retaining firefighters in our state. Well done Carter. I love the message at the end. it is very well timed.